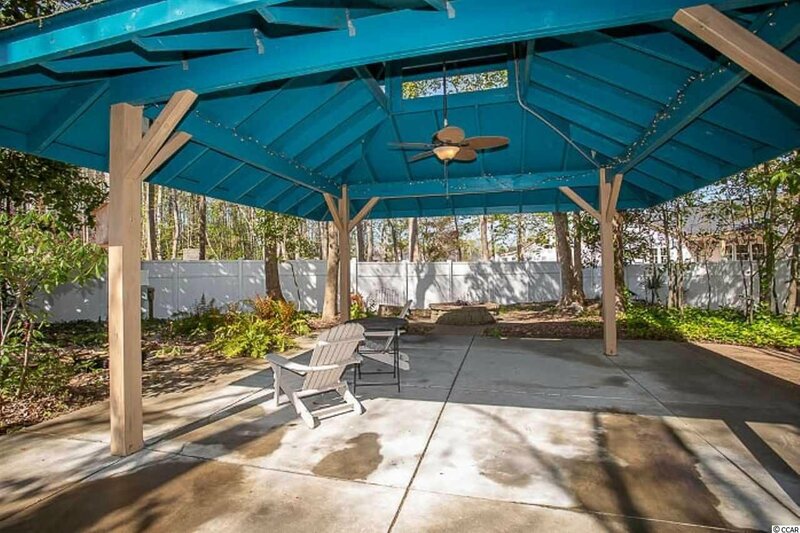 Fenced in back yard that is shaded and has a Tiki hut for your enjoyment. 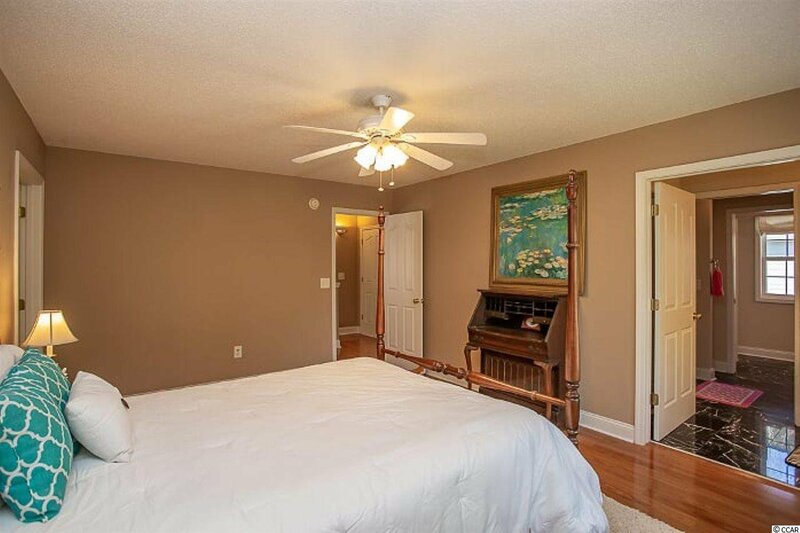 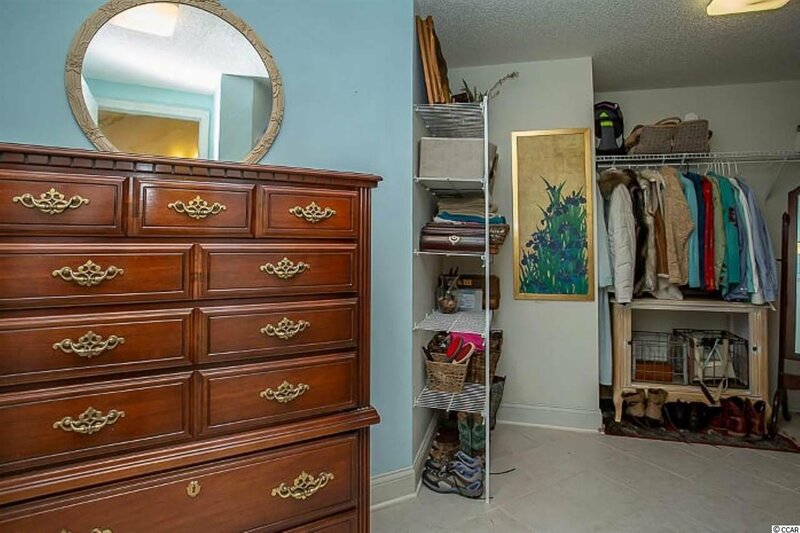 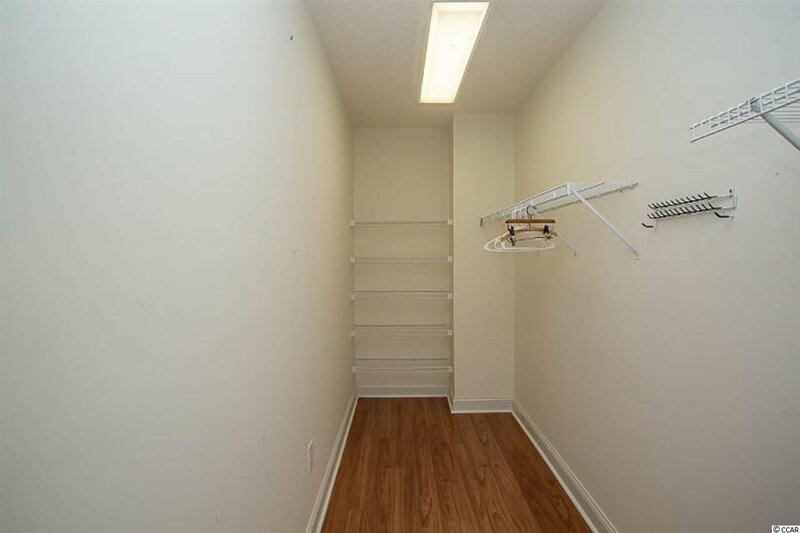 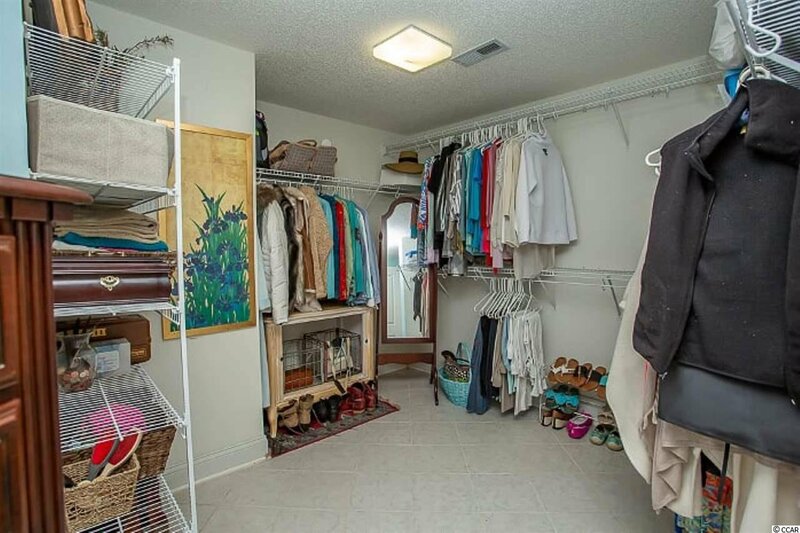 Inside the Master bedroom leads to a patio and has a very large walk in closet. 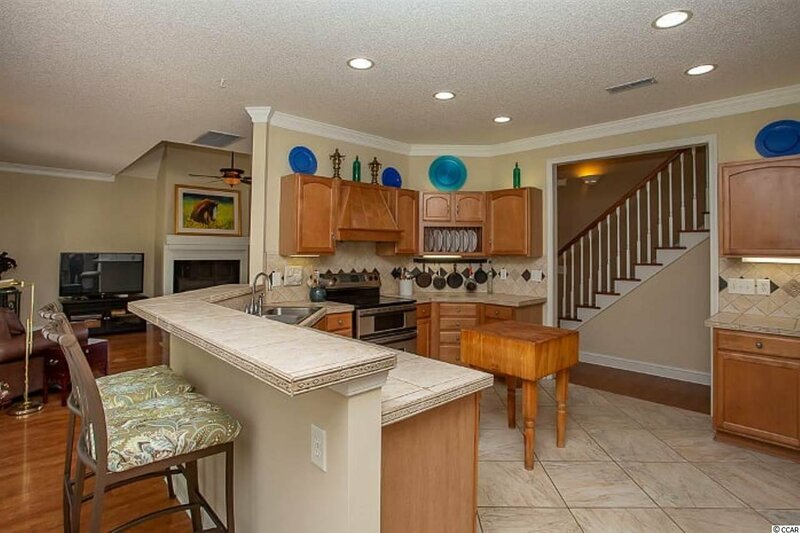 Do you love a big kitchen, here it is! 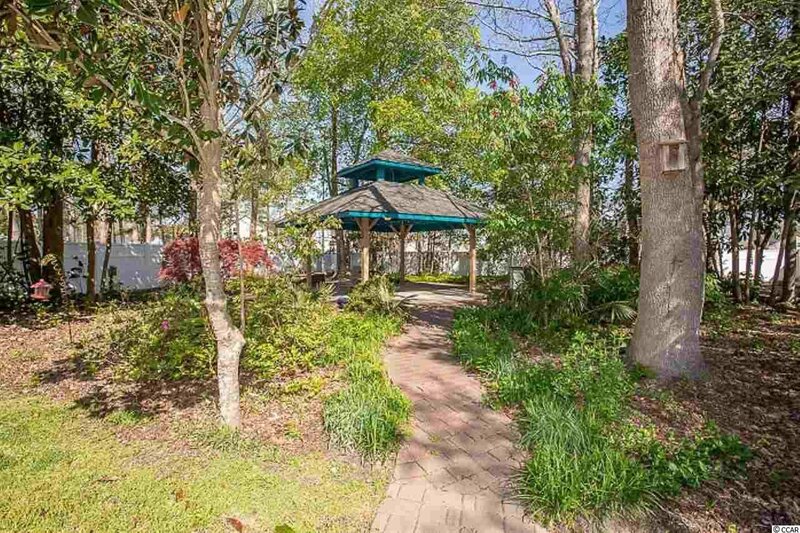 An unfound jewel that is slowly being found. 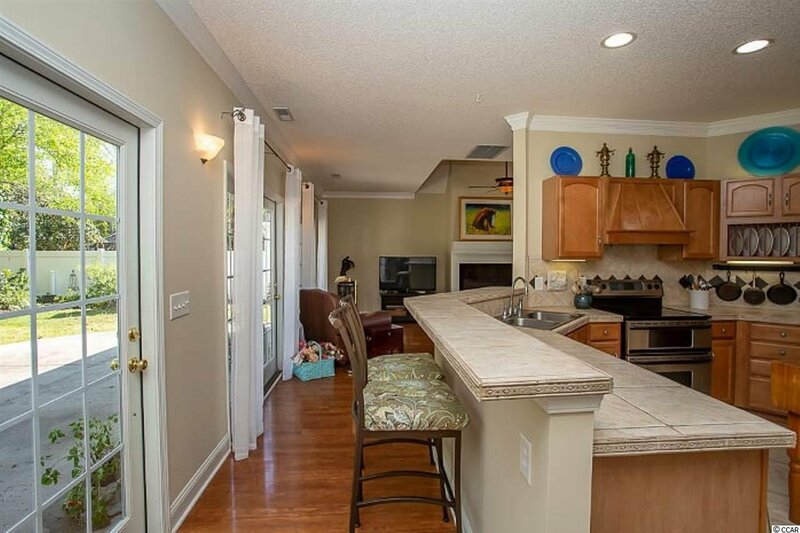 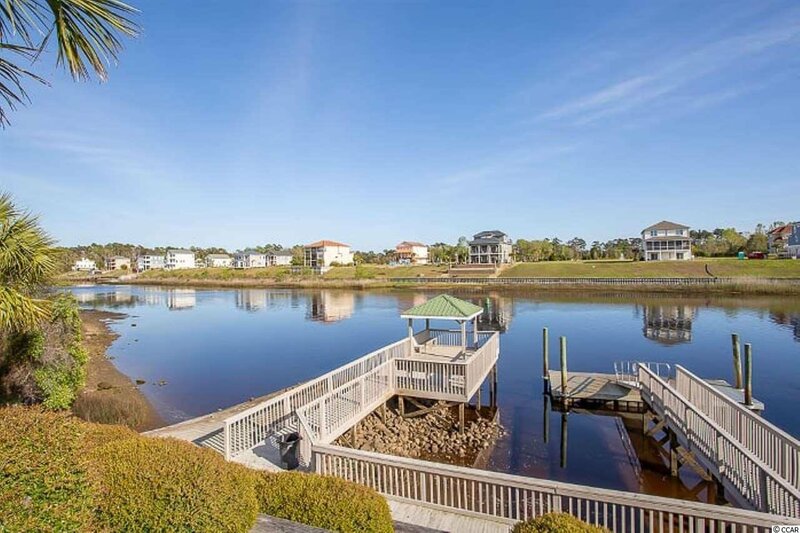 Pelican Bay is a gated, waterfront community just 5 minutes from the ocean, close to the NMB Sports Park, restaurants, schools and hospitals.The house is located across the street from the Intracoastal Waterway and is ready to more in. 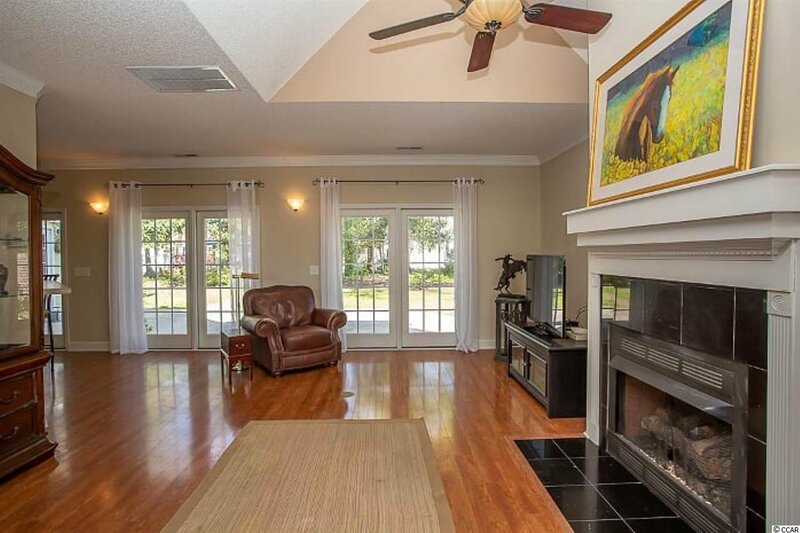 This custom 3 bedroom, 2 1/2 bath home features plantation shutters, fenced in back yard and is built home on a half acre. 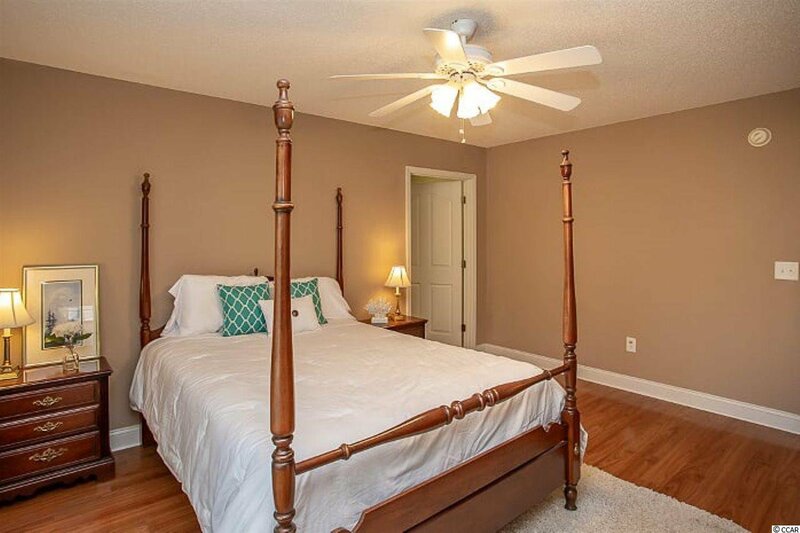 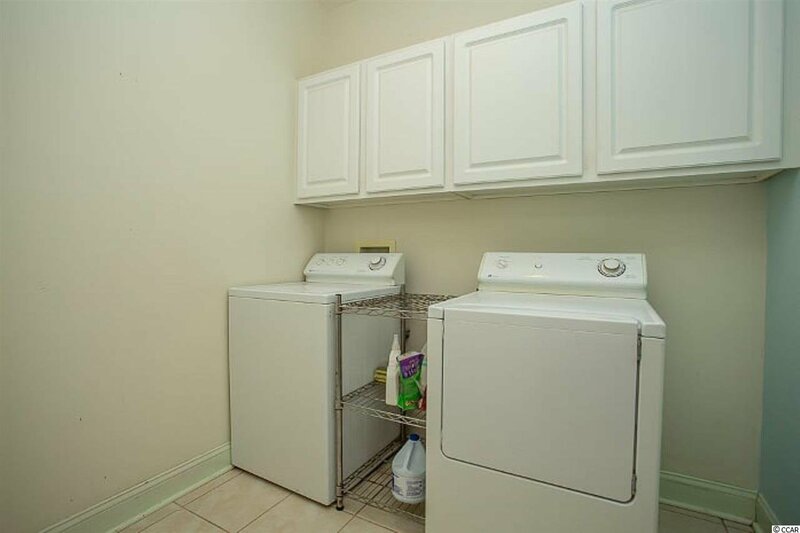 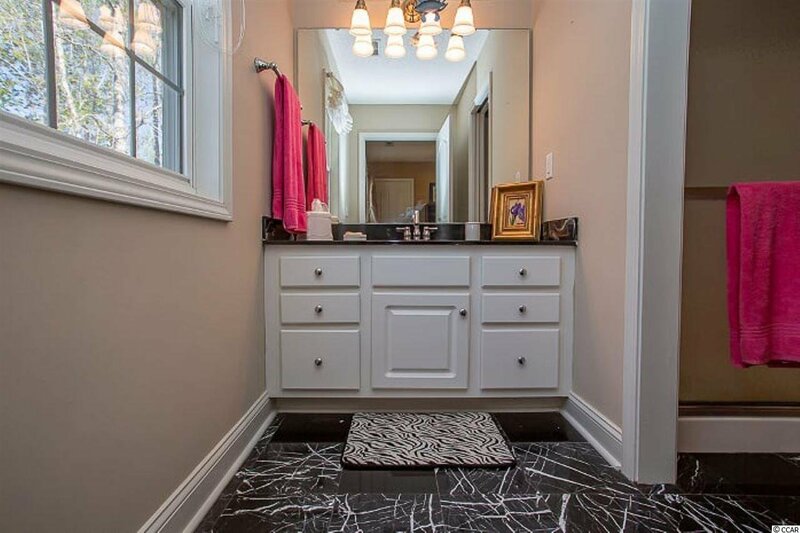 Featuring a spacious first floor master bedroom, bath and large walk in closet. 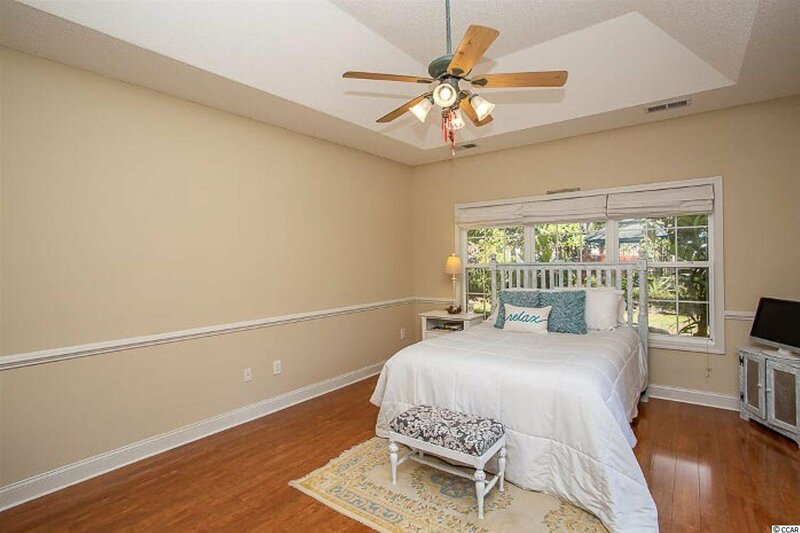 The bedroom then opens to a back outdoor patio that it shares with the Living Room. 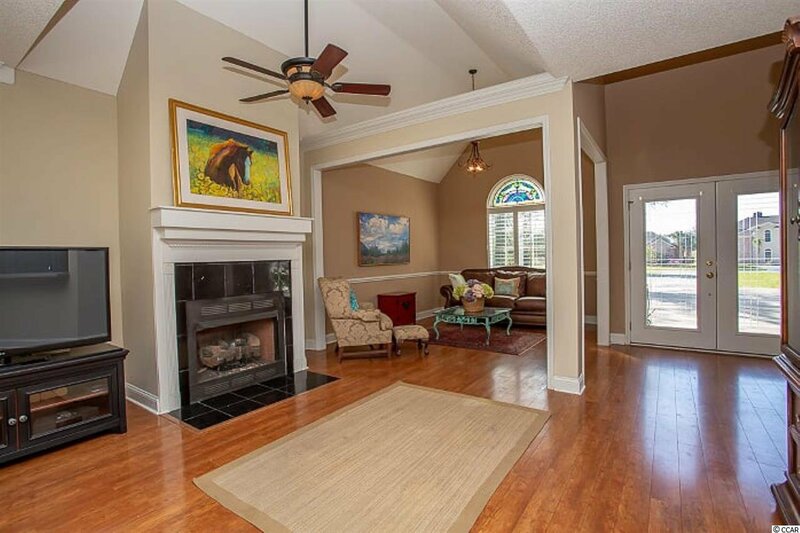 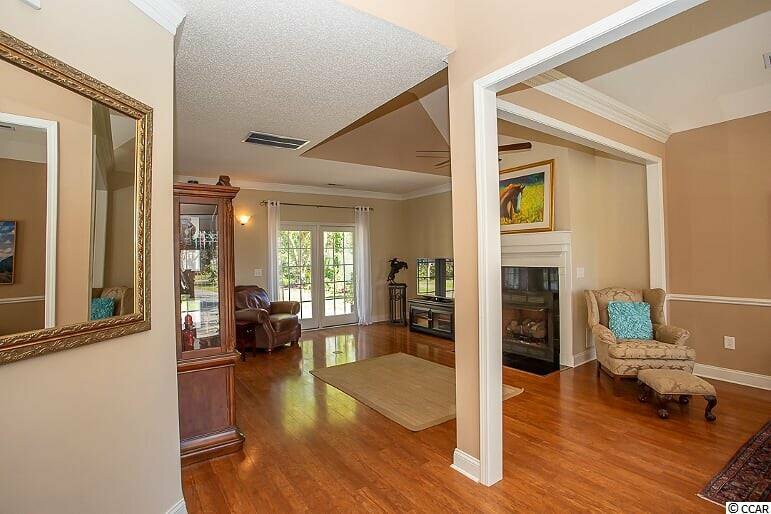 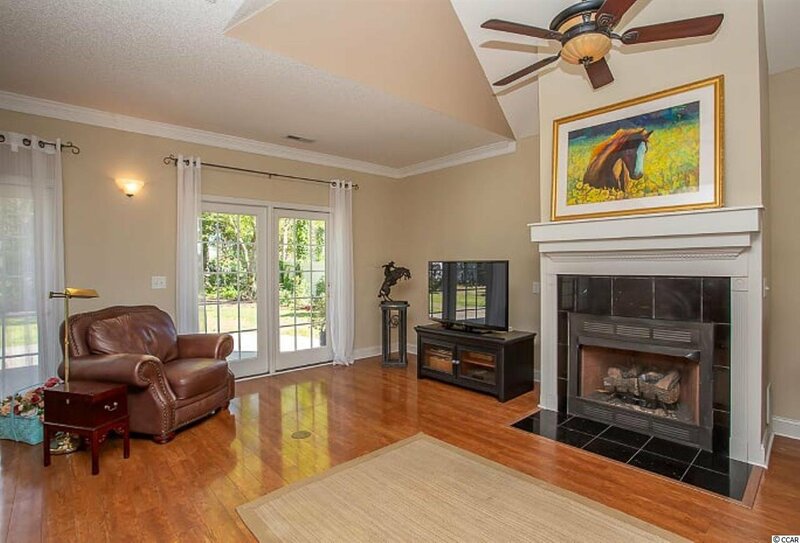 Vaulted ceilings complete the Living and Dining Room areas with a propane fireplace. 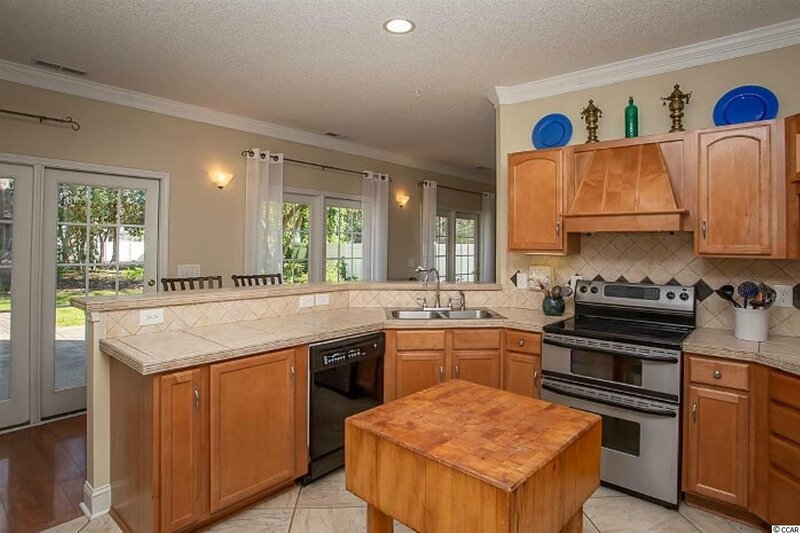 The kitchen is a chef's delight. 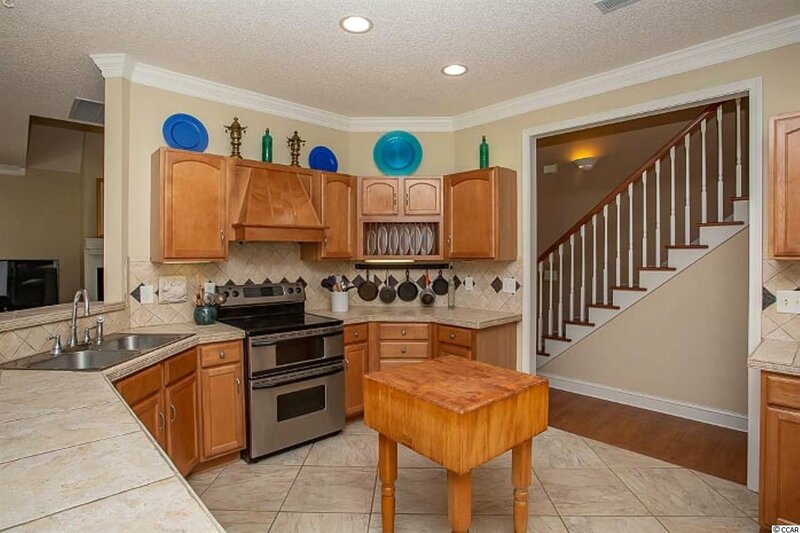 Ceramic tile counters that will not burn with hot pots (porous stone will burn and leave permanent marks in the counter top), pantry and more room to move around. 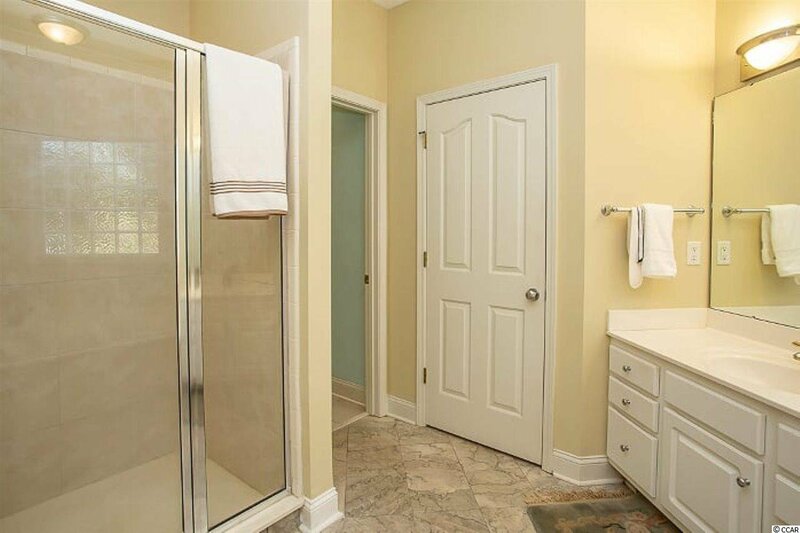 Downstairs is completed with a guest bath and a laundry room just off the garage. 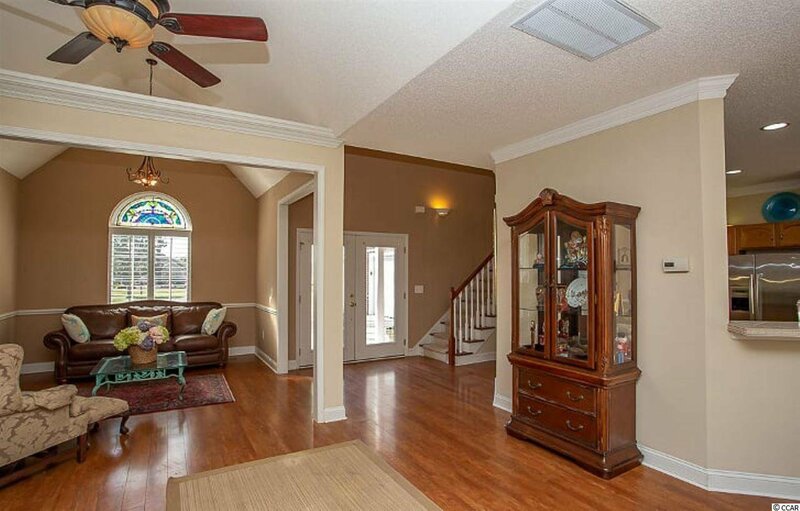 Want to expand the living space, there is an attic-storage area that is unfinished over the over sized 3 car garage. 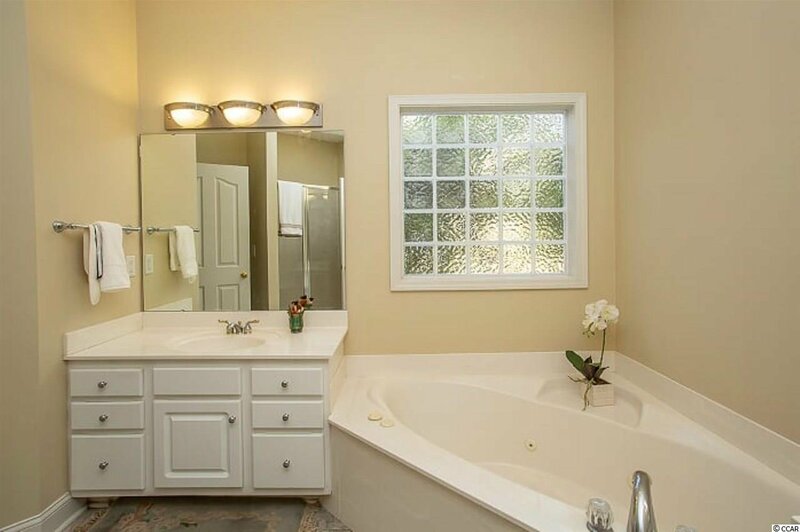 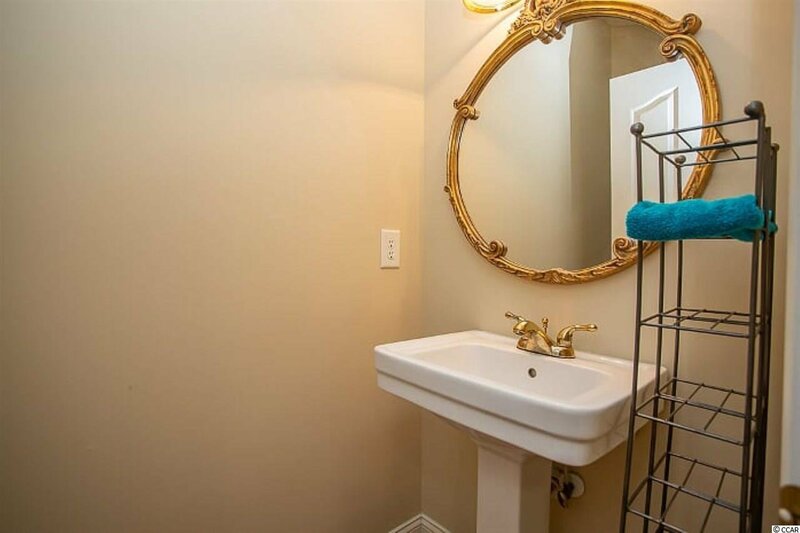 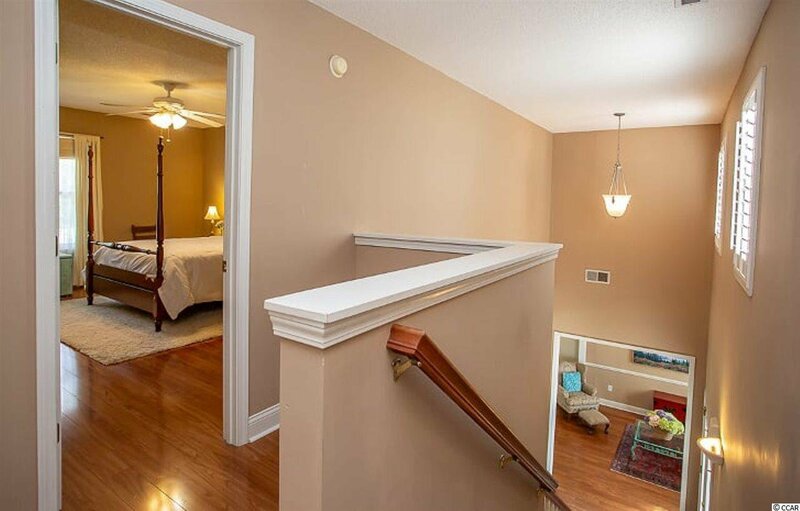 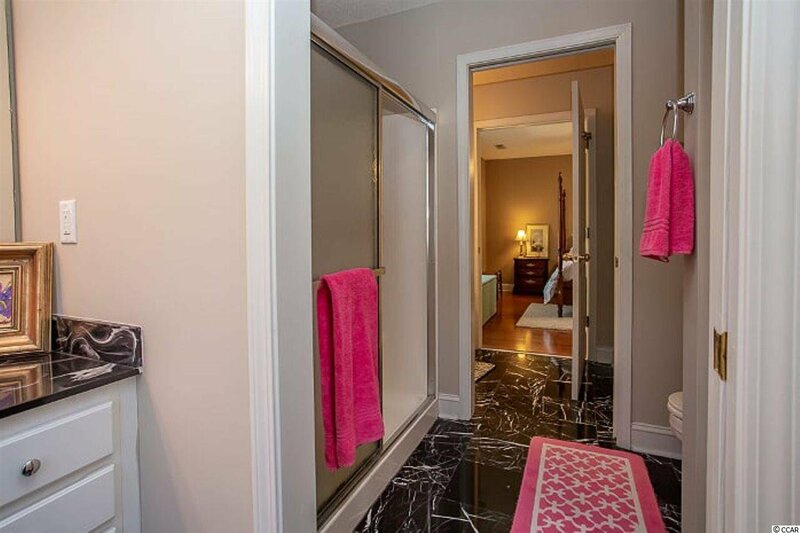 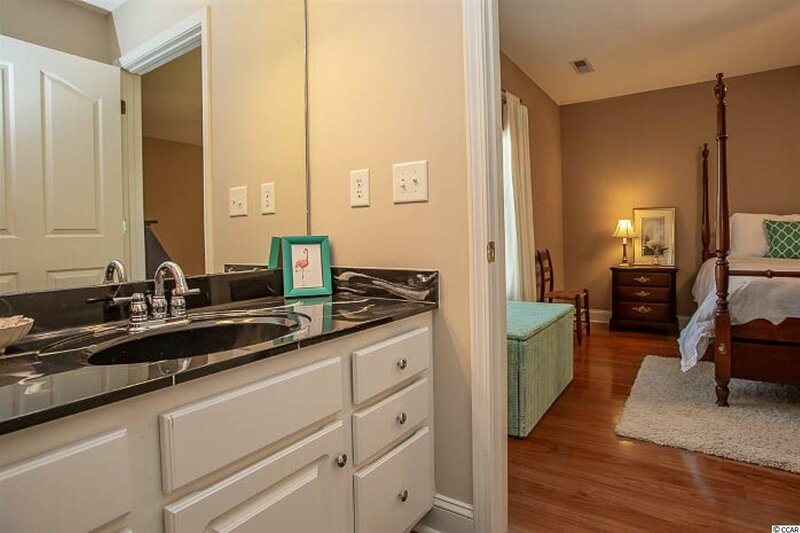 Upstairs you will find the second bedroom with an over sized closet that leads to a Jack and Jill bathroom. 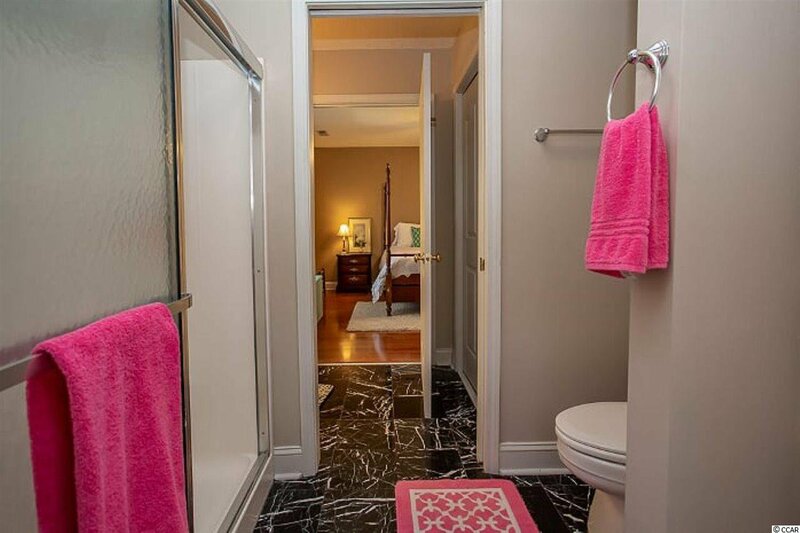 On the other side of the bath is a bedroom that is used as an office. 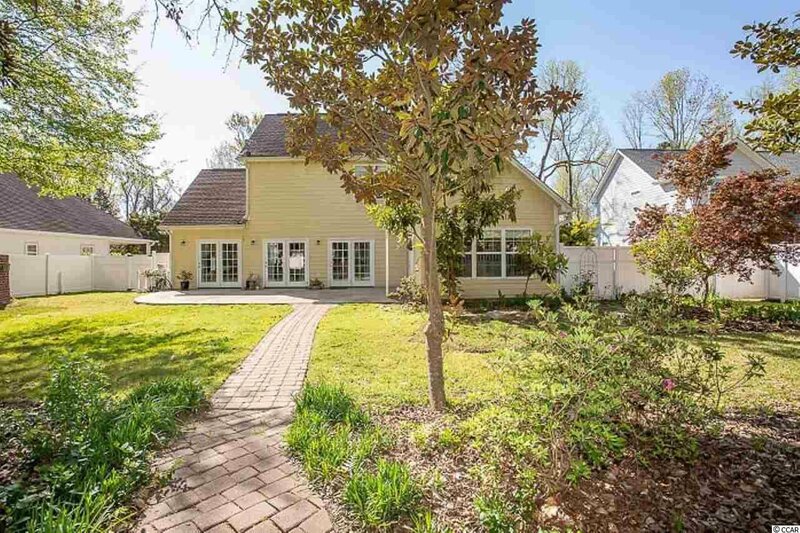 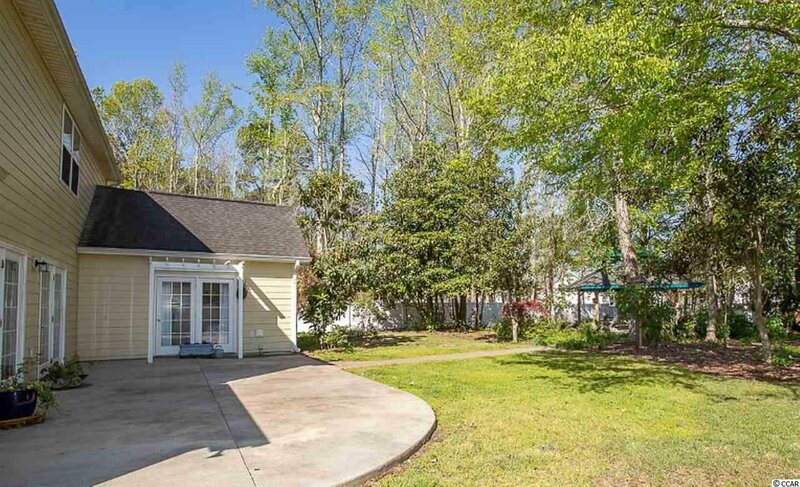 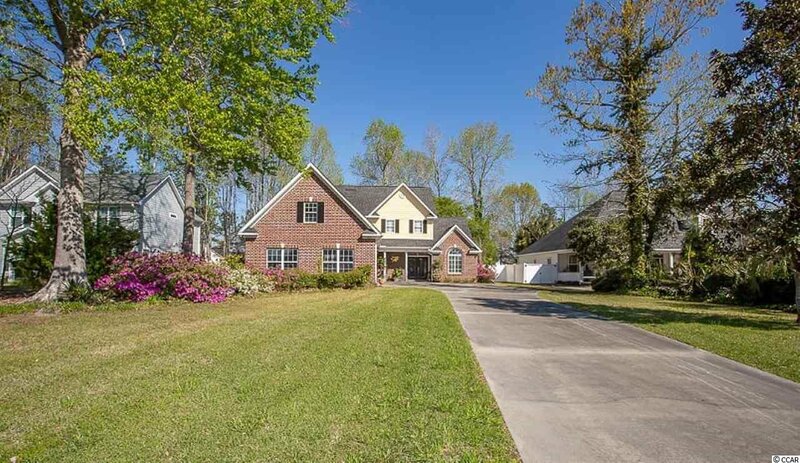 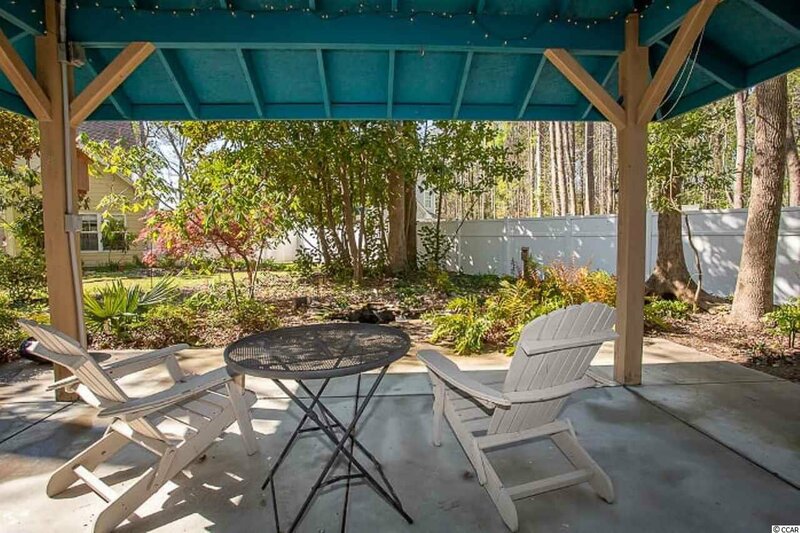 Front yard boasts mature azaleas that burst with color in the spring. 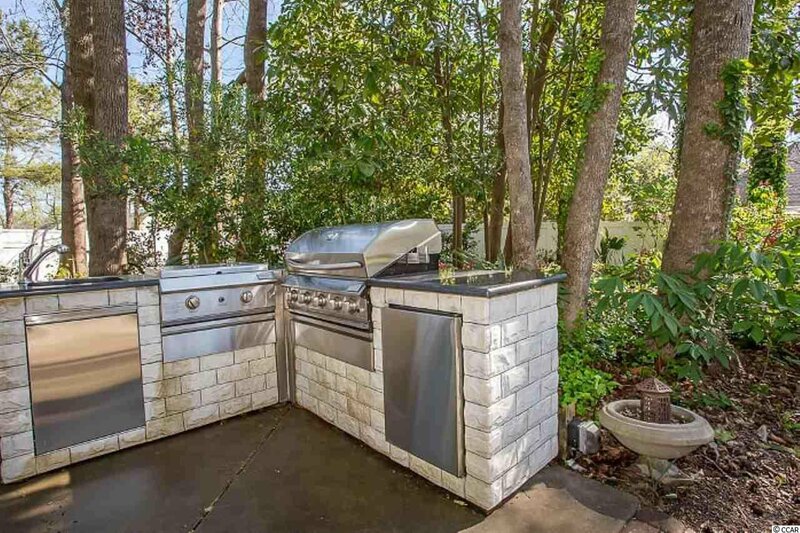 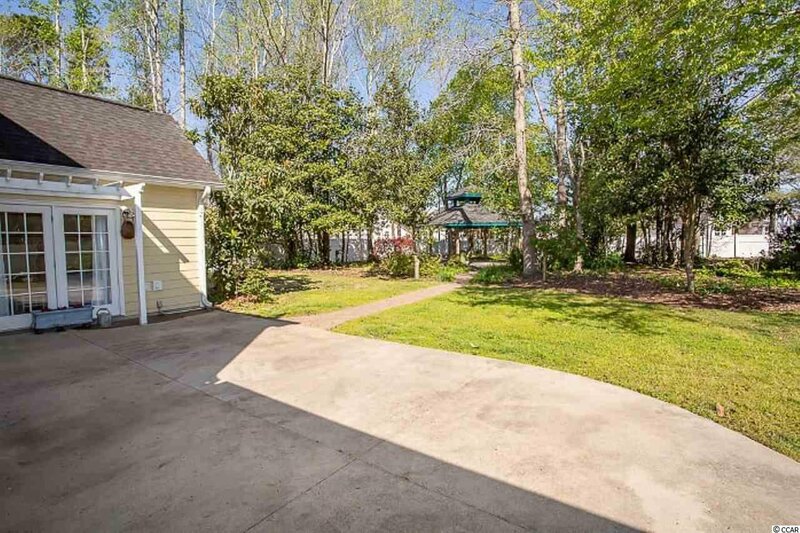 Landscaped yard has a sprinkler system and a low maintenance back yard that features an outdoor kitchen and gazebo for entertaining. 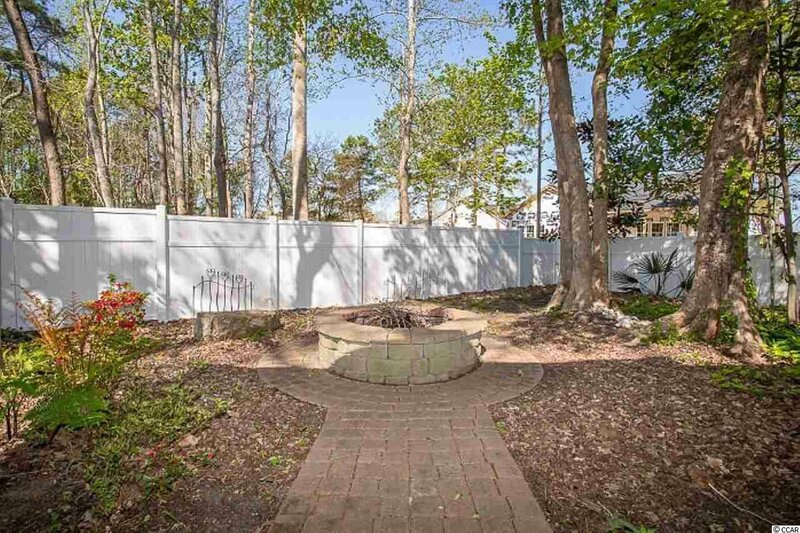 You will not find this backyard anywhere else. 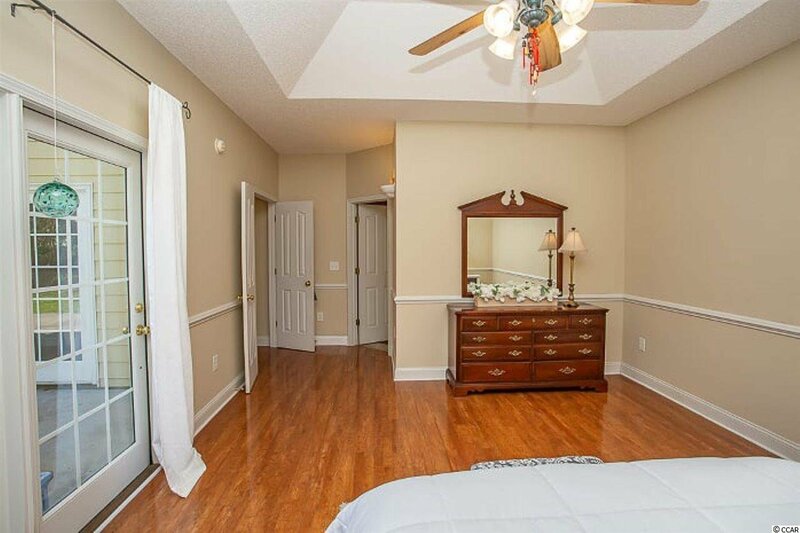 Built for energy efficiency you will find comfortable living all year long. 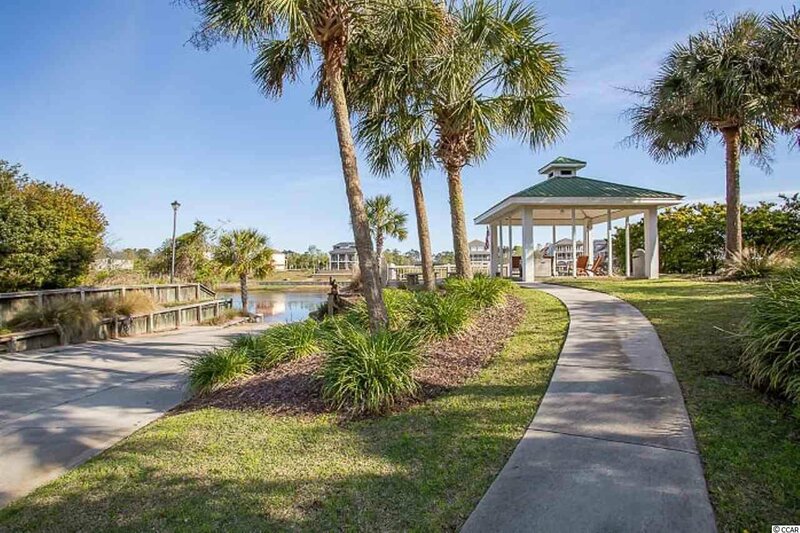 Home owners have access to the community boat landing, dock, waterfront gazebo and boat storage. 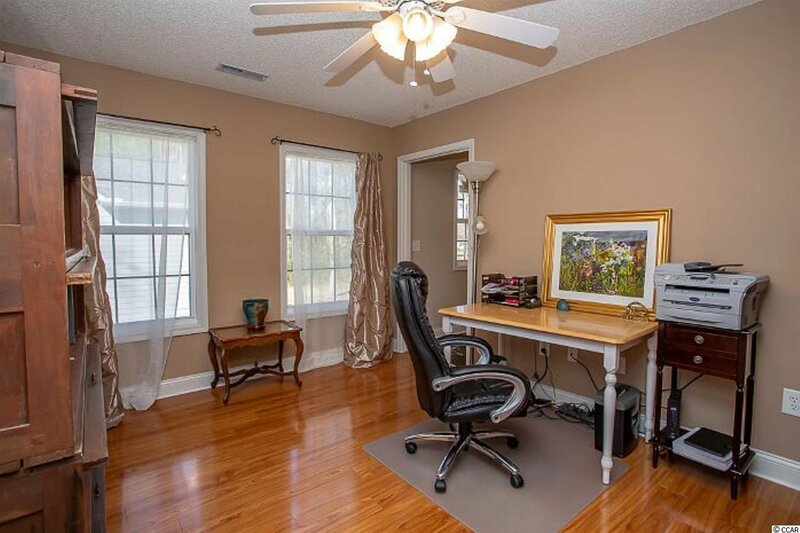 All window treatments convey. 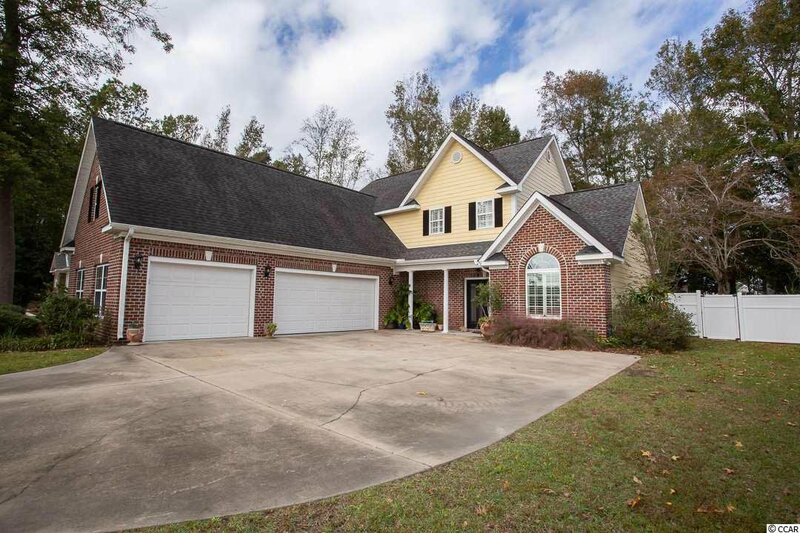 Come and enjoy this home today. 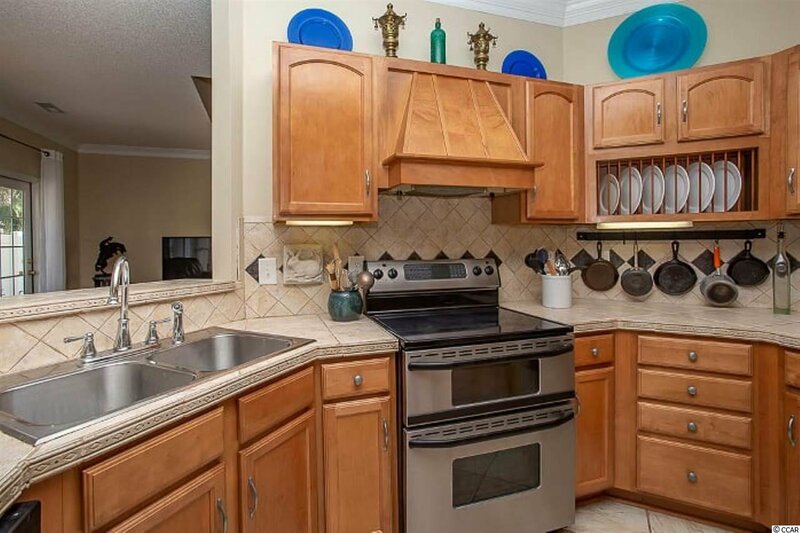 Range, Dishwasher, Garbage Disposal, Refrigerator, Microwave, Pantry, Range Hood, Stainless Steel Apps. 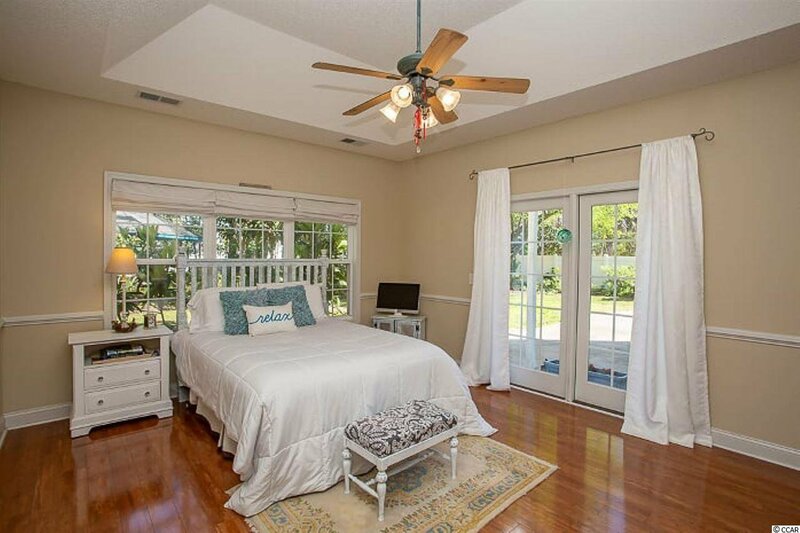 Listing courtesy of BRG NMB , Cathy Honeycutt.